It sounds like a Zen koan: What kind of music would a mushroom make? The answer isn’t to be found in meditation, however, but at this week’s Music for Mycologists concert. American composer John Cage—an avid mycologist—often quipped that music and mushrooms have nothing to do with one another . . . except for the fact that they appear next to each other in the dictionary. 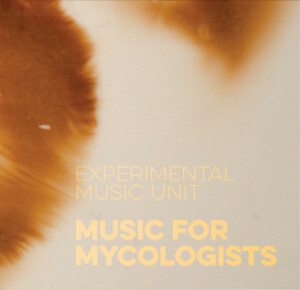 The Experimental Music Unit (EMU) puts the veracity of this statement to the test with Music for Mycologists, a collection of musical works by local composers Paul Walde and Tina Pearson, Czech composer Vaclav Halek—described as “the world’s most prolific composer of mushroom songs”—and the EMU trio. Music for Mycologists explores relationships between music making and mushroom hunting, exposing the sometimes fragile process of discovering sounds of rare and raw beauty that exist just beyond perception. 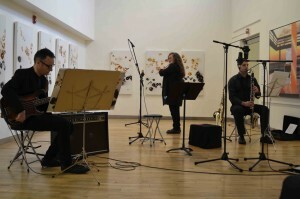 The Music for Mycologists CD release concert begins at 8pm Saturday, June 6, at Open Space. Tickets are $11-$16 advance or $15-$20 at the door. There will also be “mushroom-themed” refreshments (we’ll leave that to your imagination), signed CDs available for purchase and informal discussions with the artists. EMU is the core ensemble of LaSaM Music, which has been producing adventurous music events since 2008, and three of the four members hail from UVic: Visual Arts chair Paul Walde (bass guitar), School of Music audio specialist & recording engineer Kirk McNally (live electronic processing), Computer Science professor George Tzanetakis (bass clarinet), plus composer Tina Pearson (flute, voice). Known for its themed projects informed by aural tradition and improvisation, LaSaM explores the relationships between the natural world, sound and music, acoustic ecology and the provocative ideas of music practitioners from many times and places. Music for Mycologists features Walde’s piece “Interdeterminancy (for John Cage)”, the musical realization of a set of eight large mushroom spore printed panels designed as a graphic notation, which appeared as part of the Legacy Gallery’s 2013 Visual Arts faculty exhibit Paradox. Also on the bill is Pearson’s “Hunt (3) Chanterelles”, a set of sonic textures that reflect the sensations, sounds, colours, smells and attention states inspired by her mother’s memories of lifelong mushroom hunting. Balancing the program are “Mycelium Running,” a sonic enactment of the life cycle of a single mushroom from mycelium through spore, three short Halek compositions from his collection of short melodies transcribed from sounds he heard directly from mushroom species near his home, as well as live electronic processing by audio artist McNally. In EMU’s Music for Mycologists soundworld, intentional microscopic attention is paid to typically peripheral instrument and body sounds, such as the nuances of breath, pre-tone whispers and whistles, the tap of instrument keys, the sound of a bow slowly crunching, and the charged pause of acute listening. You can listen to an excerpt below. Whether performing in the Royal BC Museum’s natural history exhibit or exploring the sonic life of spores, the Experimental Music Unit always lives up to its name. EMU and LaSaM are known for their original themed projects inspired by relationships between the natural world, sound and music, and the provocative ideas of music practitioners who work outside the margins; and the act of listening itself. Previous major projects include Dark Listening (2014), Music for Natural History (2012), In a Large Open Space (2011), “And Beethoven Heard Nothing” (2010), and Removing the Demon (2009) among others.